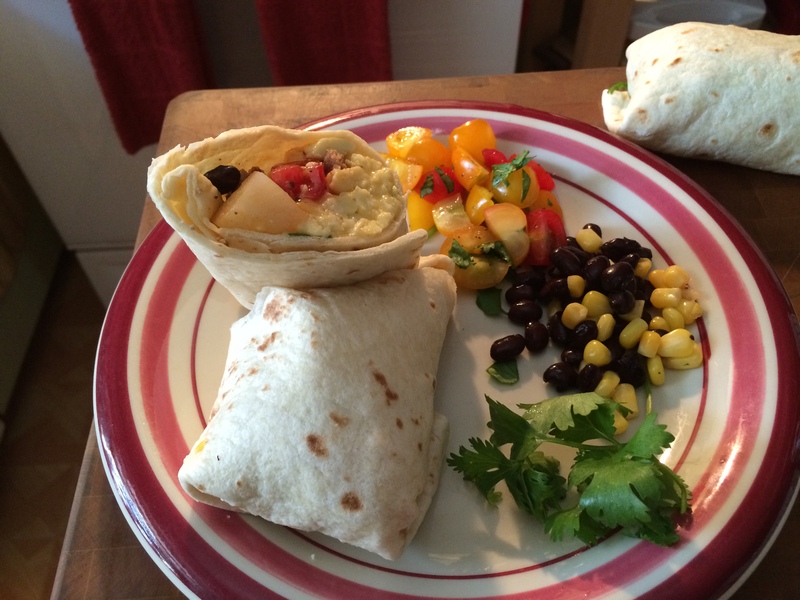 What could be better than all your favorite breakfast foods wrapped up in a tortilla? I’d have to say I can’t think of anything I love more than my Turkey Sausage Breakfast Burritos. 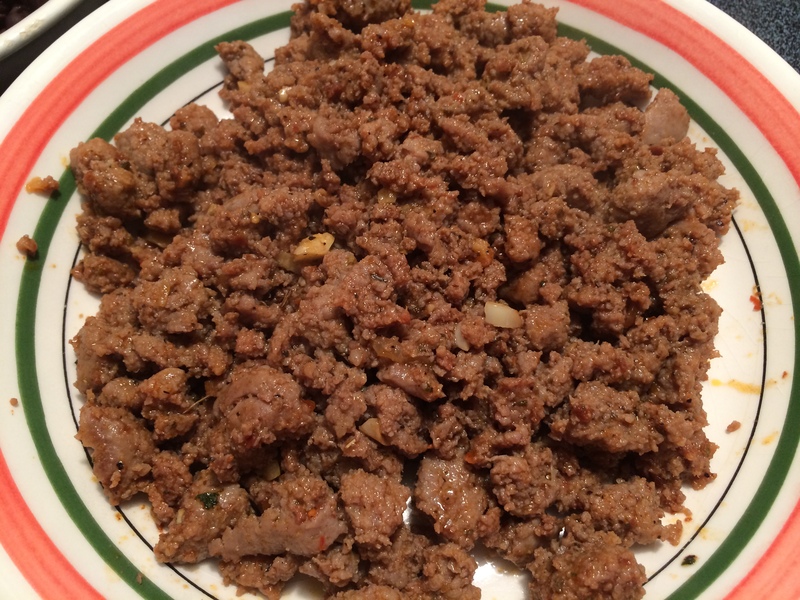 The one great thing about turkey sausage is that it’s a blank canvas for any spices you like. So you can take this and make it your own by adding whatever spices you like. In a mixing bowl combine all the ingredients together. Store in an air-tight container for future use. Start by draining and rinsing the black beans. 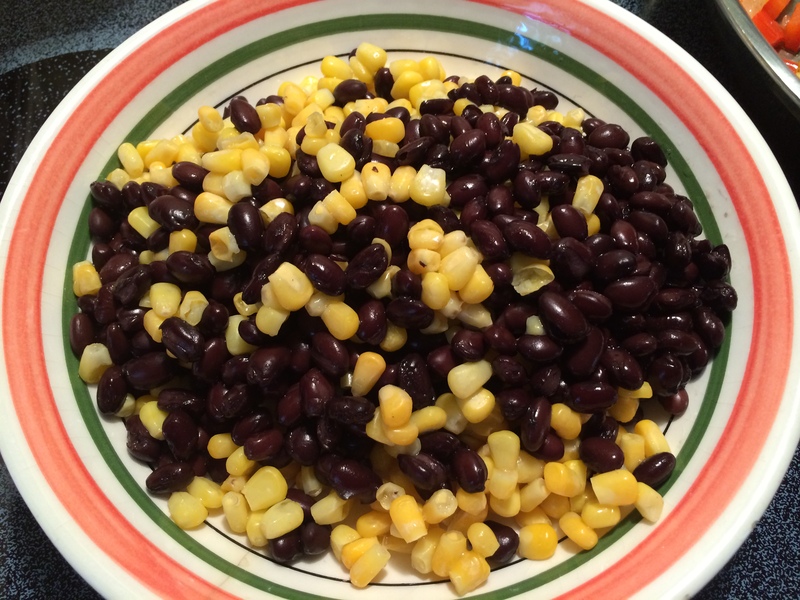 Mix the beans together with the thawed corn, place into a bowl and set aside. Next, dice the onion, red bell pepper, and mince the garlic. In a large sautépan on medium-high heat add 1 tablespoon of olive oil. 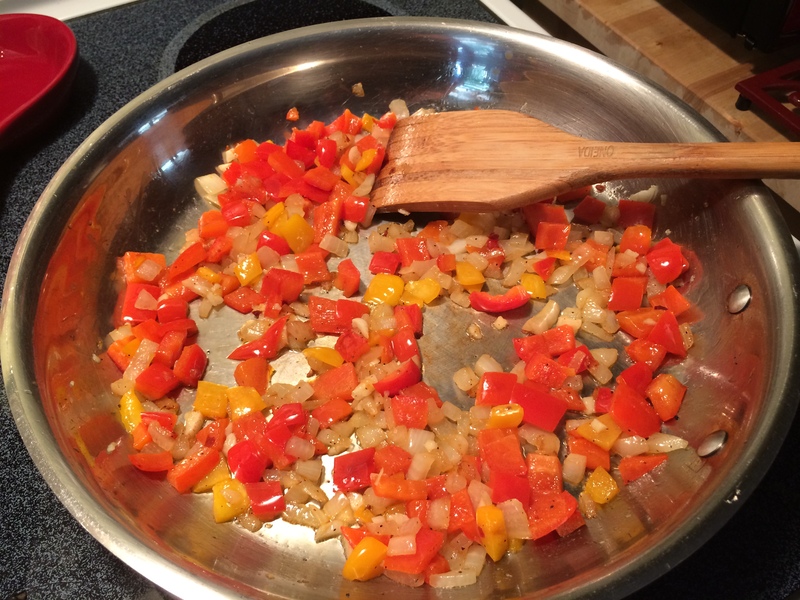 Add the diced onion and diced red bell pepper. After the peppers and onions soften, about 10 minutes, add the minced garlic and stir through. At this point, add the butter and remaining 1 tablespoon of olive oil. 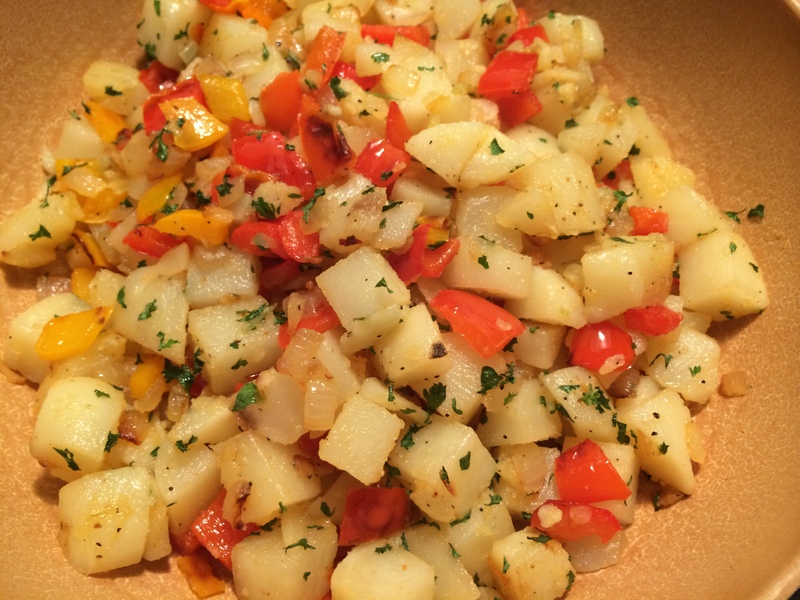 Once the butter melts add the diced potatoes. Stir to coat the potatoes, peppers, and onions with butter. Let cook only turning every 5 minutes. Allow the potatoes to get a nice crispy exterior before turning. Resist from constant stirring, cook for 12-15 minutes or until potatoes are golden brown. Remove the pan from the heat, add the fresh chopped Italian parsley and stir. Transfer the potatoes to a bowl, cover and set aside. In another large sautépan, on medium-high heat, add the remaining 2 tablespoons of olive oil and turkey sausage. Start breaking up the sausage with the back of a wooden spoon. 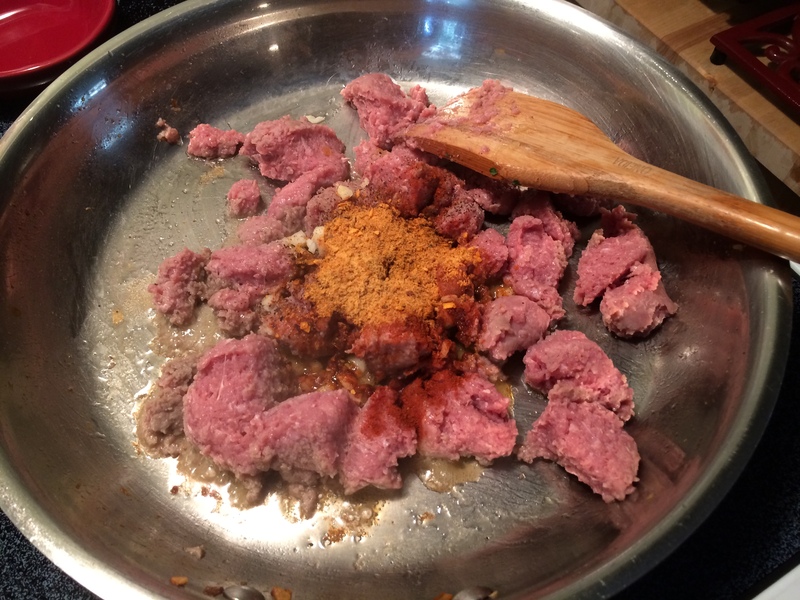 Add the minced garlic, paprika, Kosher salt, fresh ground black pepper, and fajita seasoning blend, stir to combine. Continue to stir the sausage. Once the meat is completely browned and nicely caramelized, about 15-20 minutes (or until internal temperature is 165-degrees F.), then add 1/4 cup of unsalted chicken broth to deglaze the pan. Use the back of the wooden spoon to scrape up the bits from the bottom of the pan and allow the liquid to completely evaporate another 5 minutes. 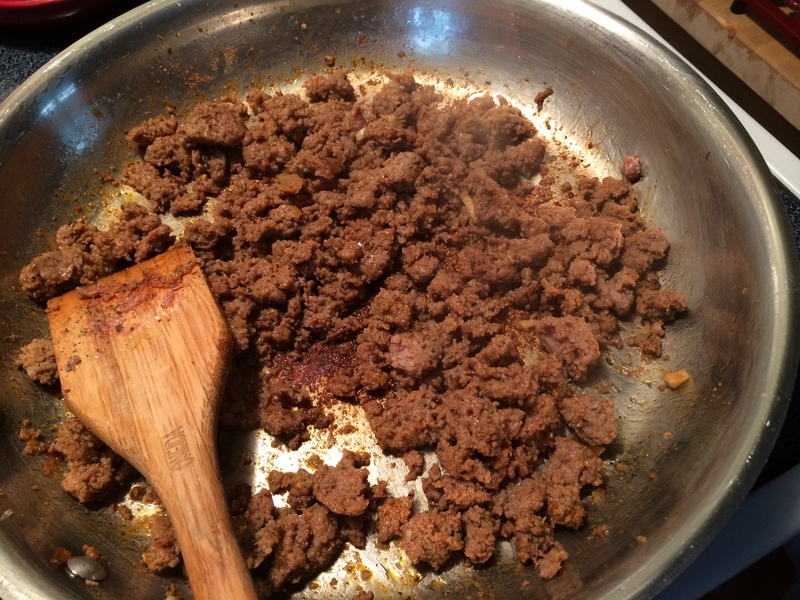 Using a slotted spoon, transfer the turkey sausage to a bowl, cover and set aside. 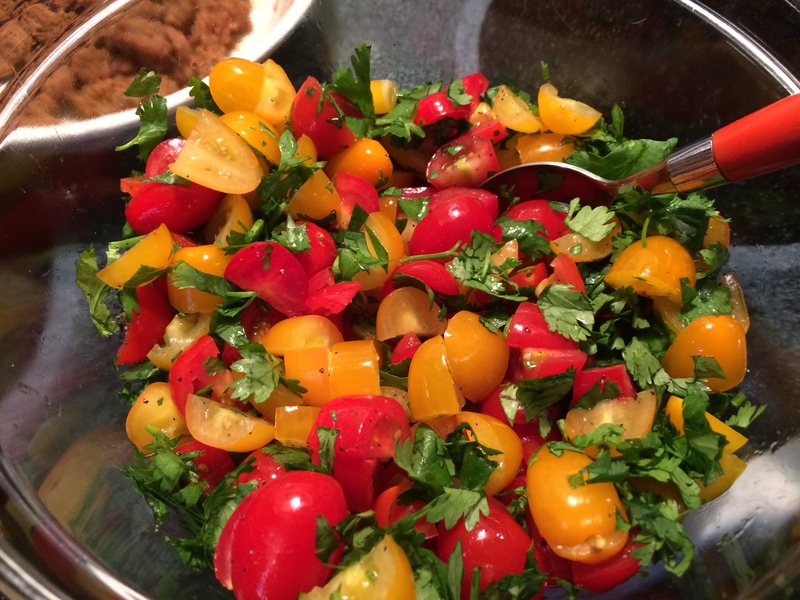 While browning the turkey sausage is cooking in a separate bowl add halved grape tomatoes, Kosher salt, black pepper, and chopped cilantro, mix to combine and set aside. Next is to make the scrambled eggs. 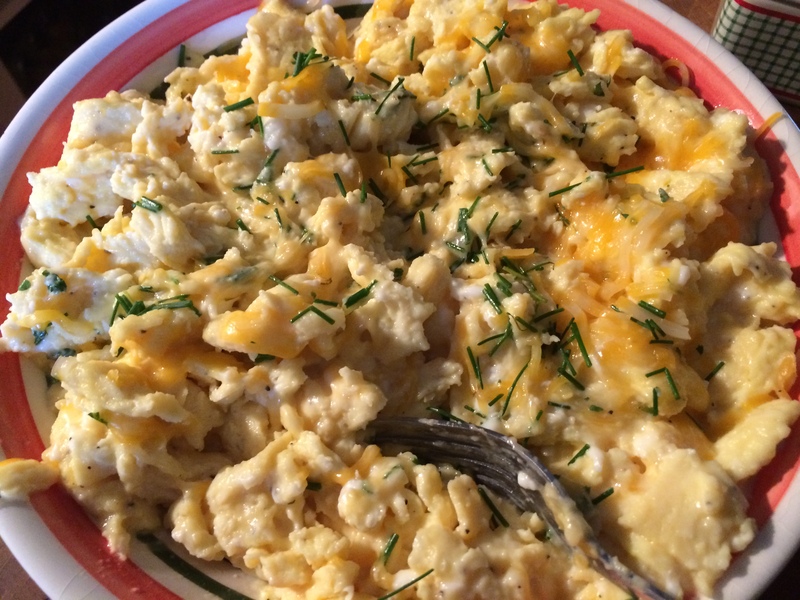 To get my recipe for Perfect Scrambled Eggs just click on the link below. Once the eggs are scrambled, 10 minutes, remove from the heat before adding the shredded Coby Jack cheese and chives, stir to combine. Transfer the scrambled eggs to a bowl, cover and set aside. Before you can wrap a burrito the best way to do that is to start with a warm tortilla. Place 2 to 3 tortilla on a plate at a time. Cover with a damp paper towel and microwave for 30 seconds to 1 minute. To assemble the burritos, lay a warm tortilla out on a flat surface. Fill the bottom third of the tortilla with 2 tablespoons of each ingredient. Pull the bottom half of the burrito over to meet the top half then pull the tortilla back. Next, fold one side in then the other side. With both ends tightly folded, tightly roll the tortilla until you have a perfect burrito. Once all the burritos have been filled and wrapped it’s time to press them. Start with a large sautépan preheated on medium heat. Coat the pan with non-stick cooking spray. Place the burrito into the hot pan. Place a grill press on top, 3 to 4 minutes per side or until golden brown. Press the burritos in batches of two. Serve hot. I like to garnish the plate with ingredients in the burrito. actually realize how to bring an issue to light and make it important.